Chapter 7 bankruptcy is a way for individuals to discharge their debts. According to Bankruptcy In Brief, Chapter 7 is the most common and straightforward type of bankruptcy available to consumers. Your assets become the property of a bankruptcy estate. The trustee assigned to your case sells some of your property to satisfy creditor claims and the balance of your debts are discharged or canceled. Both individuals and businesses can file for Chapter 7 bankruptcy. To claim Chapter 7, you must qualify by passing the means test. The test averages your income from the last six months and compares it against the state median income. If your income is less than the state median, you're eligible to file for Chapter 7 bankruptcy. You can also qualify if your income is above the state median, but you must perform a more lengthy, involved calculation to show that your disposable income is insufficient to pay your debts based on your living expenses. There's no maximum or minimum amount of debt necessary to qualify for Chapter 7, but it matters whether your debts are consumer or personal, or if they were incurred as a part of doing business. If the majority of your debt is business debt, you don't have to take the means test. 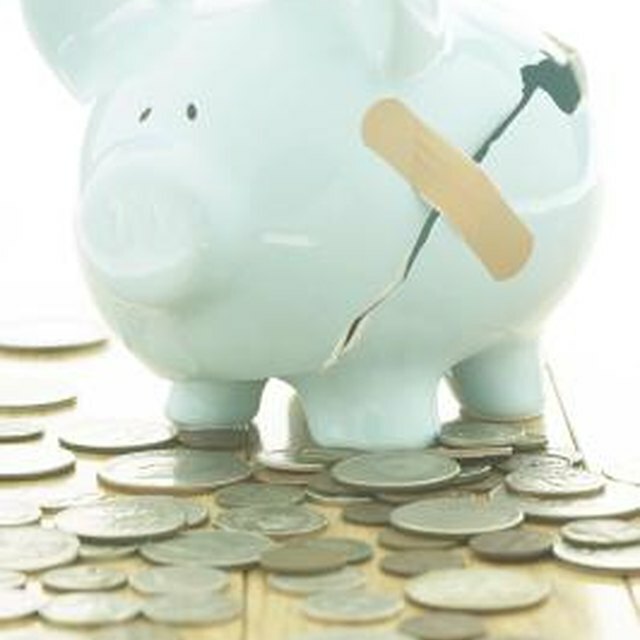 Some of your property can't be liquidated during a Chapter 7 bankruptcy. Assets you can keep are referred to as exempt property. If your property qualifies for an exemption, the bankruptcy trustee can't sell it. Otherwise, he'll use the proceeds to pay down your debts as much as possible. For example, if you can claim a $6,000 exemption for your car and it's worth worth $5,000, you can keep it. If it's $7,000, the bankruptcy trustee can sell it, give you $6,000 for the exemption, and give the balance to your creditors. How much property you can exempt depends on the your state's rules. The federal government and each state maintain a list of property exemptions available to Chapter 7 debtors. Some states require that you use the state-specific list while others let you choose between the state and federal list. Most states allow you to exempt some of the equity in your home, cash in the bank and personal property like vehicles. The Bankruptcy Site: What Do I Keep When I File For Bankruptcy?